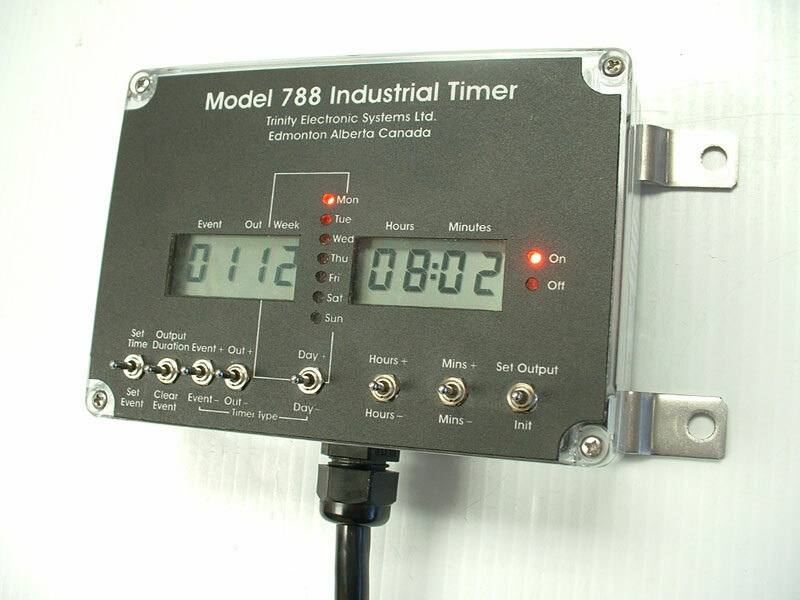 The Model 788 weekly timer was designed for hazardous locations. It has 8 outputs that can control loads as high as 3.75A each. 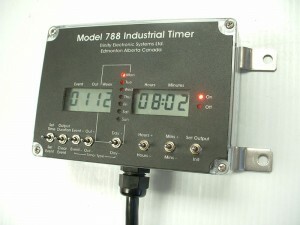 Each of the 25 events (outputs switched on or off) can control from one to eight outputs. The timing cycle can be as long as two weeks. The programming is stored in flash memory so it survives a loss of power. The time keeping function is maintained with a back-up battery for up to 6 days.